For those of you that are freaking out over the news that the Girl Scouts are cutting their cookie line-up down to six varieties because of the stale economy (this is huge national news…just check out The Wall Street Journal), there is help online. One of my favorite blogs, Baking Bites, has a great post on how to make your own. And if your favorite cookie isn’t covered in that post, check out Chow. 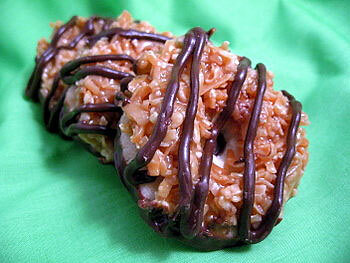 Fijis, Slim Mints, Do-Si-Dos, Samoas, Tagalongs…they’re all there for the making. Even if your favorite isn’t being scratched from the line-up, you should give these recipes a shot. Like most things, they really taste better when you make them yourself.